Washington State, like other states across the country, supports a wide range of scholarships, grants and college loans for its resident students. These programs are sponsored by Washington’s state government, and administered through the Washington Student Achievement Council. The underlying purpose of all of these state supported financial aid programs is to make college more accessible to the resident students of Washington State. The first step in every college-bound student’s search for state, or Federal, supported financial aid is to fill out and submit the Free Application for Federal Student Aid. The FAFSA is used to determine the student’s eligibility for government funded financial aid, and the ultimate level of that financial aid. The FAFSA is also used by many independent scholarship, grant and loan providers in the determination of financial aid awards. College-bound students should make filling out the FAFSA a priority in their search for college funding. Like many states across the country, Washington provides a variety of general grants and scholarships for its resident college-bound students. A combination of merit-based and need-based programs, these grants and scholarships are designed to put a college education within the reach of a greater number of deserving students. 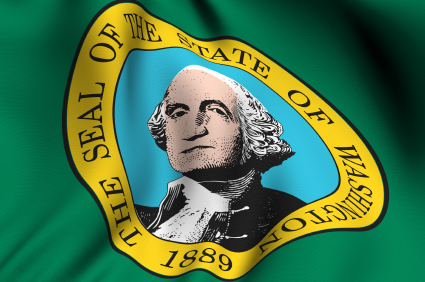 As with all state-based financial aid programs, the terms and availability of Washington’s grants and scholarships are subject to change according to available funding. The following selection of general grants and scholarships will give resident students in the state of Washington an idea of the financial aid programs that may be available to them. The Washington State Board for Community & Technical Colleges Opportunity Grant is designed to help low income students get the training required for well paying, high demand, careers. To be eligible students must be residents of Washington State, and must have a family income at, or below, 200% of the federal poverty level. The grant provides funding for up to 45 credit hours at a community college or technical school, plus $1000 for books and other fees. The Washington State Opportunity Scholarship provides financial support for students who can demonstrate the required level of financial need. The $1000 scholarship targets low to middle income students who are pursuing bachelor’s degrees in high need fields including science, technology, engineering, mathematics and healthcare. The Washington State College Bound Scholarship is available to low income 7th and 8th grade students who sign a pledge to complete high school and enroll in college. Award amounts are based on total cost of tuition, less any other financial aid for which the students has qualified. Final awards are given after a reassessment of the students family income, and high school transcripts following graduation. Washington’s State Need Grant is available to low income undergraduate students. To be eligible for the grant students must have a total family income of less than 70% of the state median, and must be enrolled at a participating state institution. Award amounts vary according to college or university of choice, and range from $1412 to $7882. The American Indian Endowed Scholarship is available to Native American students who are pursuing undergraduate or graduate studies at an accredited state college or university. Awards are based on financial need, and range from $500 to $2000. Many states, Washington included, support financial aid programs designed to benefit students with specific career paths. These programs may take the form of scholarships, loans or loan repayment plans. In many cases these will be award-for-service programs, offering financial aid in return for a predetermined term of service in a high need profession within the state. Washington State currently supports the following subject specific financial aid programs. The Washington Aerospace Loan Program provides low interest loans to resident students who are enrolled in the Washington Aerospace Training and Research Center. Students can receive up to $4800 in loans to pay for specific training in various aerospace production fields. The Health Professional Loan Repayment Program provides partial loan forgiveness for licensed healthcare professionals who agree to provide primary healthcare services in rural or under-served urban areas. Loan repayments are contingent upon the completion of the agreed upon term of service. The John R. Justice State Loan Repayment Program offers partial loan forgiveness for licensed attorneys who agree to serve a three year term of service in the state prosecutors office, or as a public defender. All award amounts are contingent on the availability of state funds. The state of Washington supports a wide variety of financial aid programs for its resident students. In addition to the programs listed here, the Washington Student Achievement Council also administers a number of Federal programs including the Pell Grant, and the Federal TEACH Grant. Washington State is determined to help its resident students find the necessary funds to finance their higher education. Students are encouraged to visit the dedicated website of the Washington Student Achievement Council for more information on preparing for college and applying for financial aid.